Never underestimate the power of China. For years, the country has served as something of a safety net for Hollywood blockbusters that don’t perform as well as expected domestically. 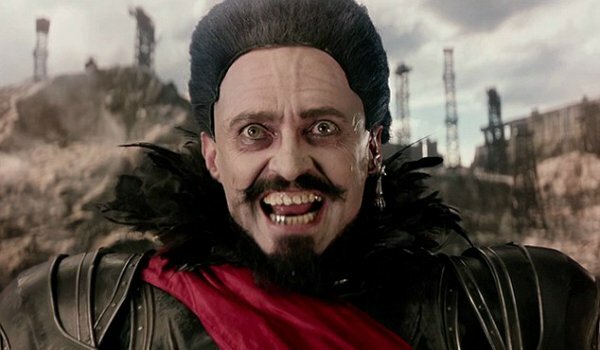 Joe Wright’s Pan has already been deemed a domestic failure, which means Warner Bros. is pretty much banking on success at the Chinese box office to save the film – but don’t be so sure about that eventuality. According to The Hollywood Reporter, Chinese audiences have responded to Pan in a similar fashion to those in America: lukewarm at best. The Peter Pan origin / retelling earned roughly $740,000 on its opening night in china, and went on to gross a paltry $3.4 million over its opening four days. In total, the film has grossed around $30 million domestic and $63.8 million overseas against a reported $150 million budget – which only factors in production costs. For WB to even begin to see a profit from the film, Pan will have to somehow achieve $400 million at the worldwide budget, which does not exactly seem likely at this stage of the game. One of the primary reasons for this colossal failure stems from the fact that Pan opened against a fairly deep pool of competition – something that is not usually the case in the Chinese market. Negative critical response played an obvious factor, as would be the case in any major market, but that does not explain how other American failures often make their money back in the China. The almost universally panned – no pun intended – Terminator: Genisys performed admirably in China because it opened against almost no other major motion pictures, allowing it to thrive at their box office. By contrast, Pan faced stiff competition from France’s The Little Prince, Japan’s Detective Conan: Sunflowers of Inferno, and America’s own Ant-Man (which has been putting on an absolute clinic overseas). Pan’s failure has brought the film industry back to the drawing board on numerous other projects. For example, the film’s current flop status has all but eliminated Joe Wright’s chanced of directing the upcoming film Emperor. The film’s lack of success also raises the concern of whether or not Hugh Jackman has any real box office appeal unless he has muttonchops and adamantium claws. Cinema Blend will keep you posted on any and all Pan news, and just remember: if you haven’t seen Pan yet, don’t worry, you’re definitely part of the majority on this one.